Ships today if you order in the next 14 hours 48 minutes. Auto Ship & Earn + 189 Points What's this? With so many toxins being everywhere around, including in the foods you eat and the air you breathe, heavy metal toxicity is a very common thing for many people. If you?ve been looking for extra support in processing and getting rid of these heavy metals, Remedylink offers a great option that may be able to help. 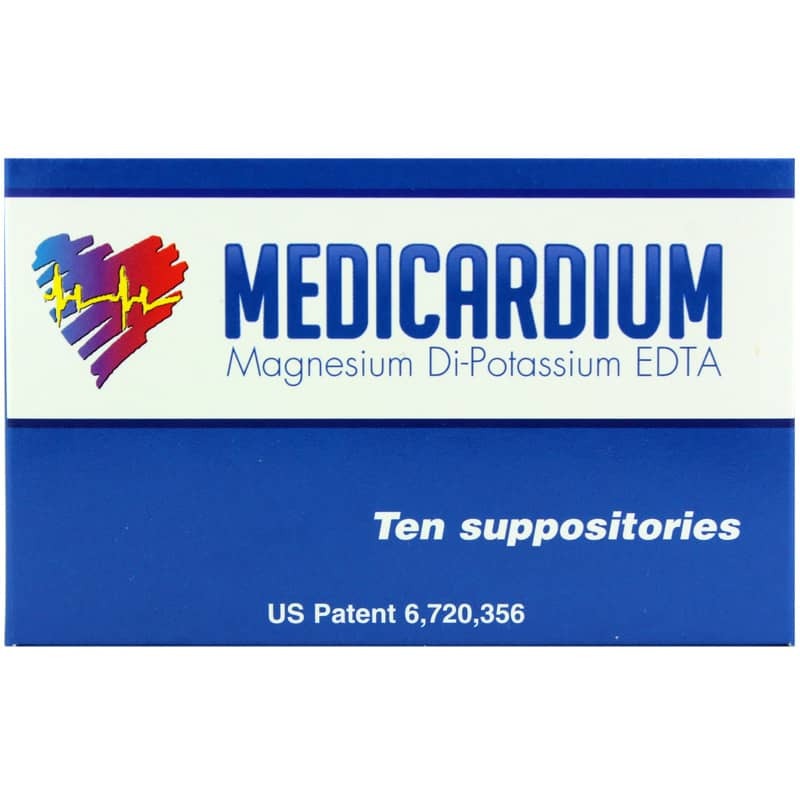 Medicardium is a suppository supplement that provides magnesium di-potassium EDTA to support your body's natural responses to heavy metal toxins. Remedylink's Medicardium comes in a suppository form that is meant for rectal use only. It is easier to insert when used with Vaseline, and after a bowel movement has occurred. Adults: For rectal use only. Use following a bowel movement or cramps may occur. Refrigerate before using. To remove suppository, tear the plastic shell lengthwise beginning at the V shaped cut at the pointed end of the suppository. Smooth raised grooves along suppository edges and apply a coating of Vaseline to the suppository before use or a stinging sensation may occur. Insert suppository past sphincter muscle. Try to wait 15 to 20 minutes before another bowel movement. Drink 1 glass of water at time of insertion and take any standard calcium supplement 12 hours later. Occasional air bubbles in suppository are normal and do not indicate loss of product. Use every third day or as recommended by a healthcare professional. For rectal use only. Individuals that are pregnant, nursing, anemic, those with kidney dysfunction and those who have tuberculosis should consult with their healthcare provider before using. Do not use within 24 hours of surgery. 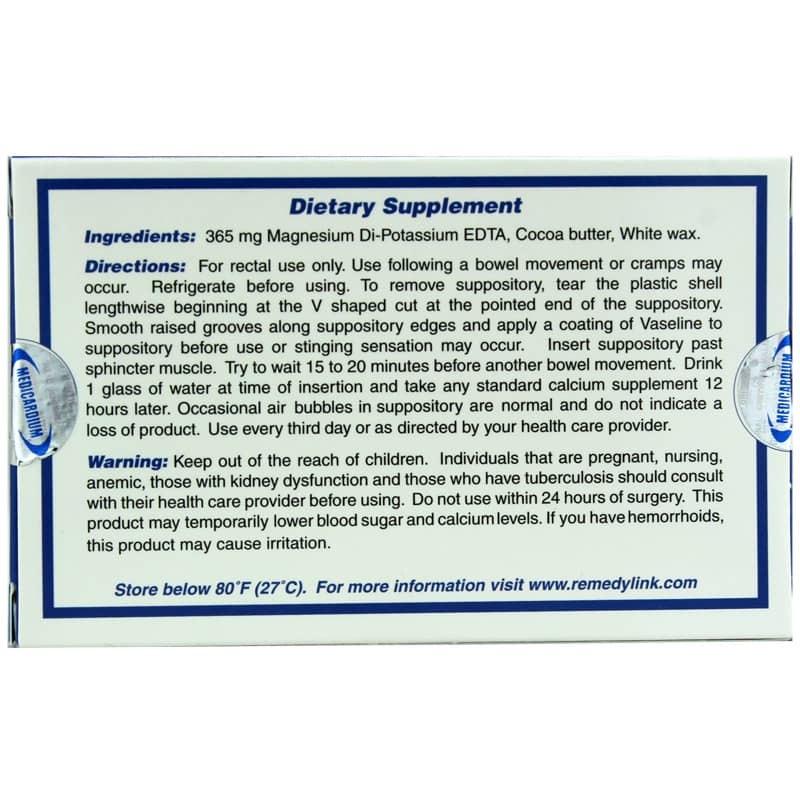 This product may temporarily lower blood sugar and calcium levels. If you have hemorrhoids, this product may cause irritation.